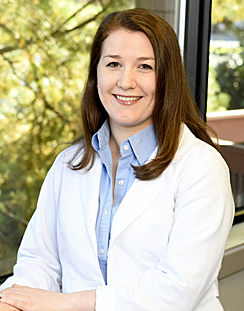 Lindsay Coleman, RD is a registered dietitian who provides medical nutrition therapy and helps patients develop dietary strategies. FREE to the community, Dishes 2 Nourish (D2N) offers cooking demonstrations on a wide-range of nutritional topics in the Lancaster Cancer Center dining commons. 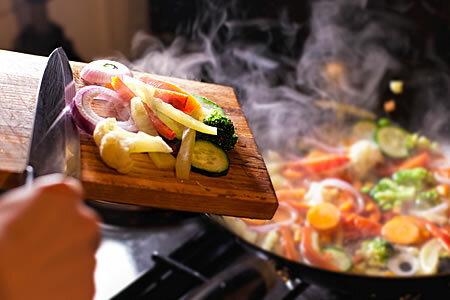 Participants can sample the prepared entrees during the class and receive a copy of the recipes to cook at home. Lindsay is also available to answer any dietary questions and how they relate to cancer. Call Lindsay Coleman at 717-291-1313 ext. 102 to register or sign up in the waiting room. Thursday, March 14th, 10-11 a.m. Traditional baked goods are a tasty way to celebrate or comfort friends and family, but they tend to provide a lot of calories and not so many nutrients. In this D2N class, Lindsay, our dietitian, will share the many ways she makes her favorite treats into healthier choices. Thursday, April 11th at 10-11 a.m.
Foods grown locally are usually tastier, healthier, and cheaper. Come learn how and where to find the best produce in the Lancaster County area. Thursday, May 9th at 10-11 a.m. This diet is famous for reducing risk for several chronic diseases, including some cancers. Join us to learn more about this lifestyle and why it works. Thursday, June 13th at 10-11 a.m. Many feel they are too busy to eat well, but meal planning and preparation can help those with limited time to eat better. Learn our dietitian’s favorite tips. All classes are held at Lancaster Cancer Center, 1858 Charter Lane, Greenfield Corporate Center, Lancaster. Seating is limited. Registration required. To learn more or to register, call 717-291-1313 ext. 102 or email lcoleman@lancastercancercenter.com. Location: The Lancaster Cancer Center dinning commons.